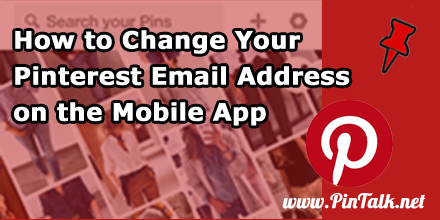 A common question for Pinterest users is “How do I change the email address attached to my Pinterest account?” As you already know every Pinterest has login credentials attached to it. This includes a username, password, email address, and possibly social logins as well. 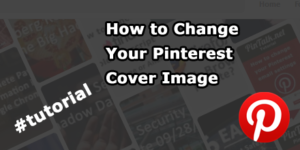 There are a few reasons why someone may wish to change their Pinterest email address. A common and understandable reason is that they are receiving too many notifications from Pinterest. As your account grows so does the number of notifications. More followers mean more notifications. If you don’t manage all these activity reminders, then your email will max out and your push notifications are going to be overwhelming. Pinterest gives us the option to receive an email whenever there is activity on our account and from our followers as well. This can be huge and create quite a bit of noise! 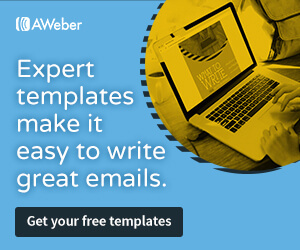 It is possible that you don’t actually need to change your email address. Maybe you just need to turn down some or all your notifications as I have. Another reason to change your email address is simply because you have new contact information. 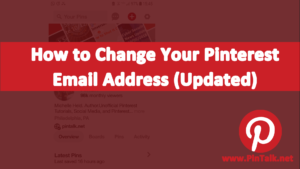 This may be due to a new email provider, address, change in ISP, or possibly like your Pinterest, your email account is too loaded with notifications and reminders. The most difficult situation to handle is because you lost access to the email attached to the Pinterest account. 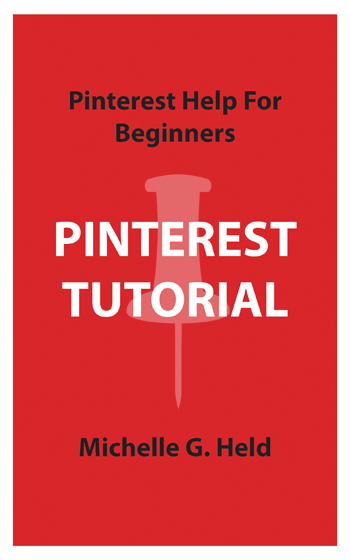 You will need the help of Pinterest tech support. If this is the case, then it is very import that you switch email addresses immediately. 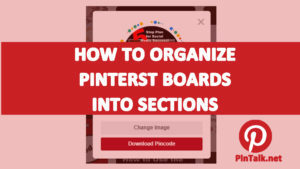 If you are asked to reset a password or there is a cyber security issue with Pinterest, then you will have a problem regaining control of your Pinterest account if you cannot log into your email. Whatever the reason, changing your Pinterest email address is a straightforward process. You will need to have the new email address set up first. 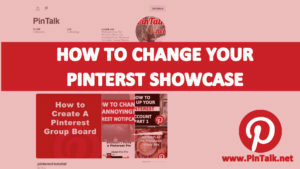 You will need access to the current email used for Pinterest as you must respond to a verification to make any changes. This screen is where you can turn adjust privacy settings. You can set if you want to be found on search engines, store contacts, and other security settings like tracking sites you visited, and connect to social networks. Back up if you are finished. There is no save button to confirm the change. Pinterest will automatically send a confirmation email to the old email address. You’ll need to confirm your address before you can use it to log in.